Limited edition mum "n" roses heater with custom wrapping. Chillchaser Indoor/Outdoor People heaters The Cool Way to stay Warm ! "I love you Mum "
Go on !! Say it.... with the Ultimate gift that she can enjoy for years. Everytime she sits in front of it she will remember how much you love her. 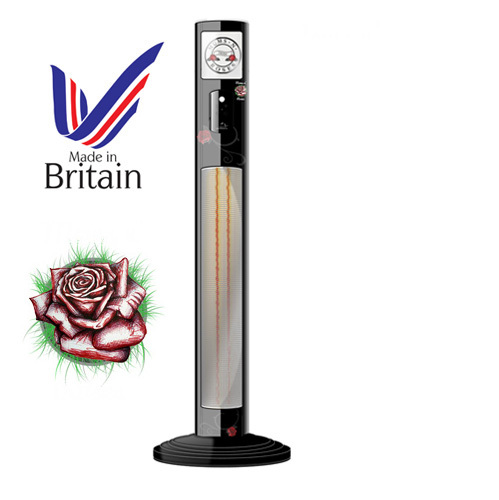 Our Worldbeating infrared outdoor heater design is Made-in-UK and is ideal for indoor & outdoor spaces such as gardens, patios, and balconies enabling you and your mum to enjoy the tranquillity of being outside at any given time of the year. We use electric carbon fibre medium wave as it produces radiant heat like the sun (without harmful UV) This effectively warms people and not the air in between, producing the only form of heat that will not blow away. All you need to do with this heater is plug it in! Then behold a stylish, safe and totally superior product that will soon become a much loved product in your mum's garden.